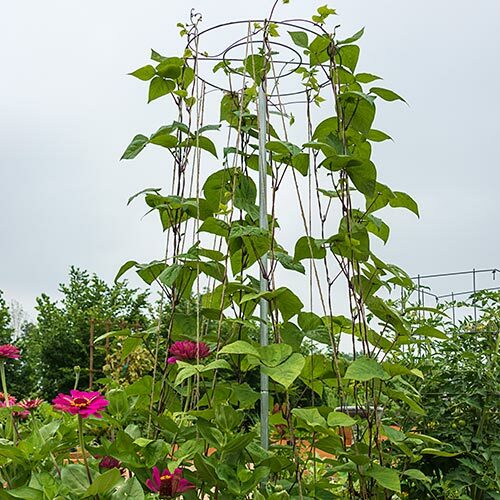 Bean Tower | Gurney's Seed & Nursery Co.
Sturdy 6-ft., galvanized tower assembles in minutes, supports at least 12 plants. Keeps your beans up off the ground, so they stay clean through the hardest rains. Makes harvesting easy, too. Tower folds for storage. Economical can be reused year after year.